Titus County Investigators determine that Thompson had been involved in a violent altercation, where he is believed to have received a serious injury to one his arms, which may have been broken. Thompson was described as being a then 41-year old white male, with strawberry blonde hair and blue eyes, standing 5’7” and weighing 180 lbs. He was reportedly wearing blue jeans and either a plaid winter shirt or a blue uniform work jacket. It is believed that Thompson walked from his home on CR 1350, then to CR 1200, where he stopped a short time at a home near CR 1250. From there Thompson was reportedly observed on FM 1896 in the edge of Franklin County by several persons. On Feb. 10, 2012, Thompson’s wallet was mailed back to his home in an envelope with no return address. At the time, authorities appealed for whoever mailed the wallet to come forward but no one has ever come forward. If you have information on Thompson`s whereabouts or who mailed his wallet back to his home please call the Titus County Sheriff`s Office at (903) 572-6641 or contact the Northeast Texas Area Crime Stoppers at (903) 577-TIPS (8477). Last Known Location: Martha went missing from the Daingerfield, TX area. Martha`s photo is shown age-progressed to 36 years. 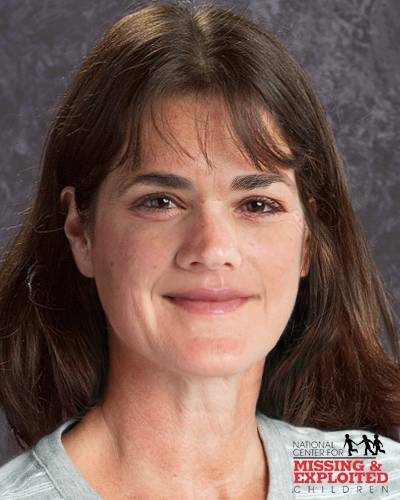 She was 15 years old when she went missing from Daingerfield, Texas on September 5, 1990. Martha may still be in the local area or she may have traveled to Oklahoma. She has gaps in her teeth and has two small scars on the right side of her face. Martha may be in need of medical attention. If you have any information on this case, please call Northeast Texas Area Crime Stoppers at (903) 577-TIPS or submit a tip online. You could receive a reward up to $1000.00.